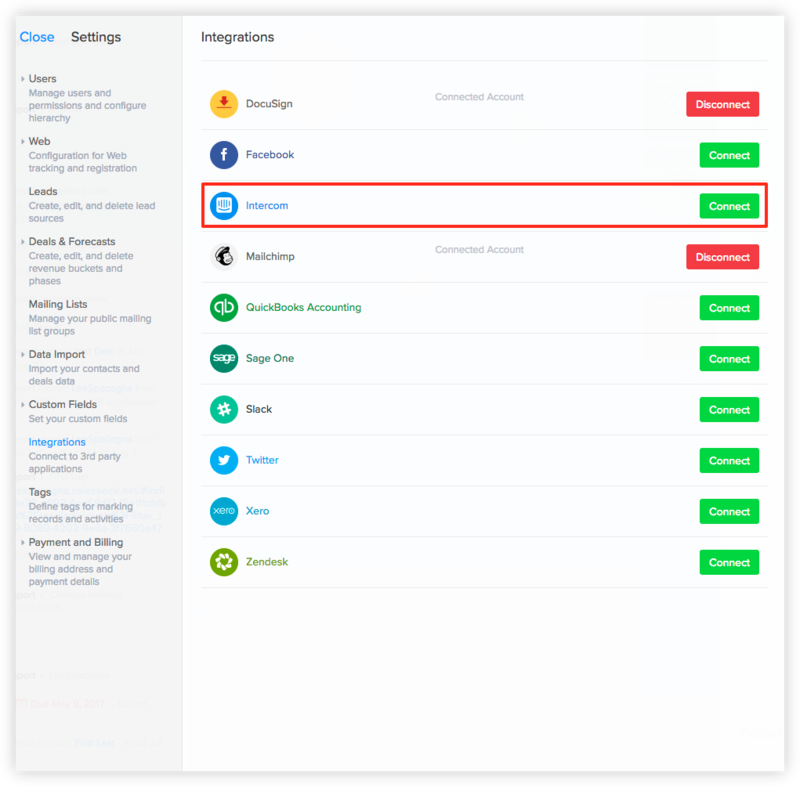 If you are already logged into your SalesSeek account click on App Settings in the lower left corner. Now go to Integrations. Next to the Intercom Integration click Connect. Now that your integration is complete. The following actions will be completed. 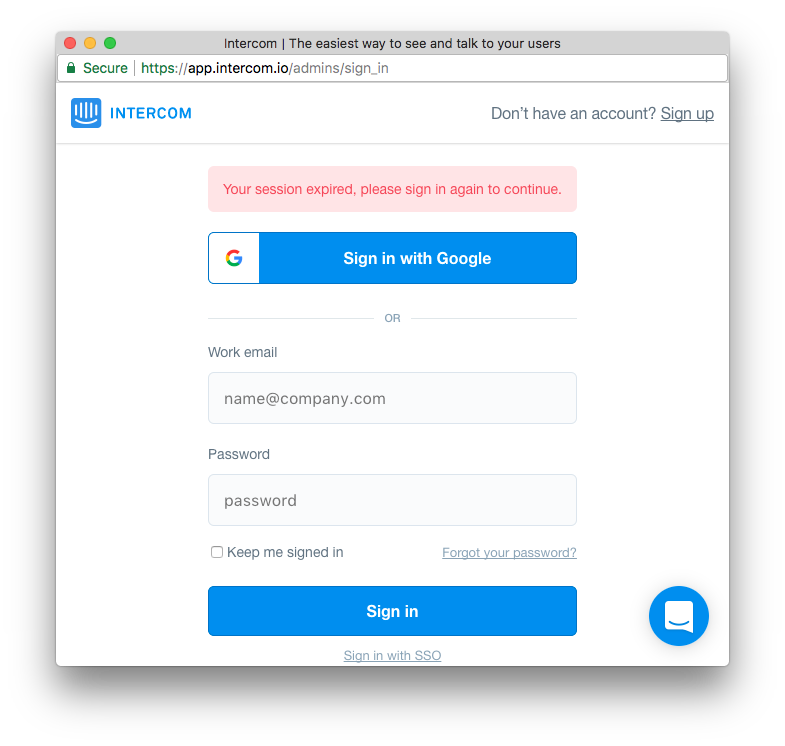 When integrated, all conversations in Intercom will be fetched, either with users or visitors to your website. 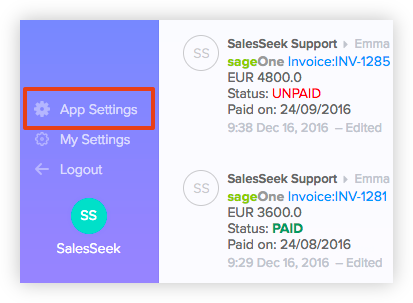 For each conversation, SalesSeek will check if the contact already exists in your SalesSeek account. If the contact doesn't exist, SalesSeek will create the contact. The contacts full name, organization name, photo, twitter, location and Intercom user link will be imported. The same process will be completed for all Organizations. If they do not exist in SalesSeek they will be created. Each conversation will be added to the activity record on the related Individual. This will include the current conversation status, the current assignee and a link to the conversation. When a conversation is updated, SalesSeek will update the activity note periodically.